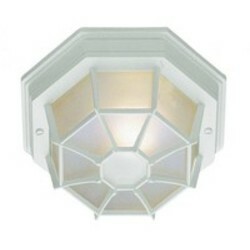 Homeowners take great care when choosing elegant light fixtures for the interiors of their homes. However, the exteriors are just as important. Adding motion, flood and security lights to the outdoor areas of your property will ensure that you get all of the illumination that you need when it is dark outside. There are two main reasons for considering this option for your home. The first reason is convenience: no more stumbling around in the dark as you walk from your car to the front door after work when you have a security light to show you the way, for example, and no fumbling for your keys in the porch when a motion light can snap on automatically and brightly illuminate your bag and all its contents. The second reason is security. Having adequate lighting systems on the exteriors of your home will really help you to deter intruders, and also to see what is going on in the vicinity of your property at any time of the day or night. 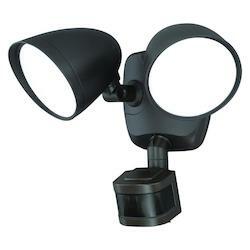 Our collection of motion, flood and security lights has something for everyone in - and something for every type of home. Whether you live in a rambling country house or a neat and modern apartment, we will have just what you need in our expansive range. 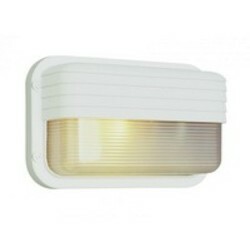 This selection of outdoor lighting has products suitable for both commercial and private properties, so you can kit out your office block or company car park with excellent light based security systems here as well. From classic globe shaped security lighting to sleek and minimalist designs, and from unobtrusive panel or strip lights to light fixtures that are designed to create an opulent effect in a stately garden or driveway, the creative range of styles here is sure to inspire you. Below, you will find some handy insider hints about how to use the various different types of lighting in this range. So read on to get a little inspiration for your home. Motion detector lighting is great for various reasons. Firstly, this is a hands free form of lighting, so all that you need to do is to walk within a certain perimeter of the motion sensor and the light will instantly and automatically switch on. This is perfect for when you are juggling luggage, grocery bags and so on with both of your hands and you do not want to go to the extra hassle of trying to pull a light cord or flick on a light switch. 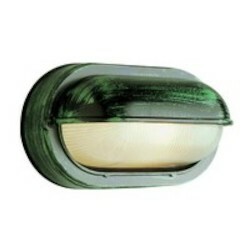 Secondly, this type of automatic light provides you with an additional layer of security. Once they realize that their every motion will cause them to be caught in the glare of a strong outdoor beam, potential intruders will know to stay away from your property. 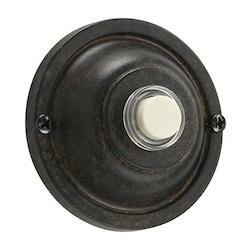 This works with human intruders of course, but it will also help to deter stray dogs and cats and other animal invaders who may be seeking to steal your pet’s food from the front porch. 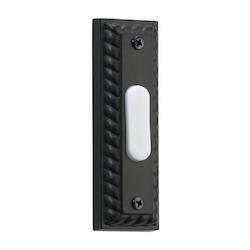 Motion detectors work by using some very smart technology. 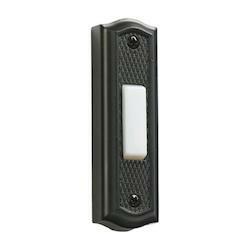 The most widely used type of motion sensor is called a passive infrared sensor. These sensors detect infrared energy, which is emitted by human and animal bodies. Usually, the cold and dark areas outside your home contain very low levels of infrared energy. 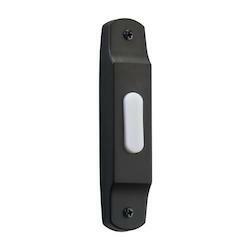 As soon as a human being appears in the vicinity, however, this sudden boost in infrared energy will trigger the motion sensor and your outdoor lights will come on. 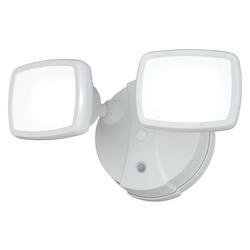 If you live in a built up neighborhood and you do not want to annoy your neighbors by having your outdoor lights flick on every few minutes due to false alarms, then you can opt for a dual motion sensor which uses both passive infrared technology and another type of motion sensing technology (such as an active microwave sensor). The lights will only come on if both motion sensors are triggered, thus reducing the risk of false alarms. You can also set a passive infrared sensor up so that it ignores bodies of less than a certain weight – which means that whilst a human being will still trigger the light, your cat or dog will not. 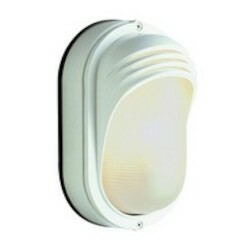 Another great thing about these motion sensor light systems is the fact that they are most often wireless. No drilling or removal of brickwork in your home is needed to install them and they start to work instantly! 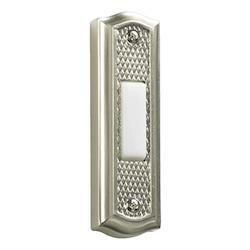 If you prefer, or if it works better for you, you also have the option of purchasing a battery powered light or a plug in motion sensor light, as long as you have a socket within easy reach. 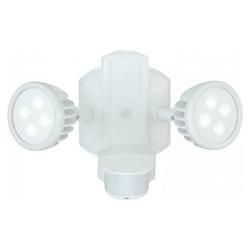 These battery operated and plug in lights have the advantage of being moveable. 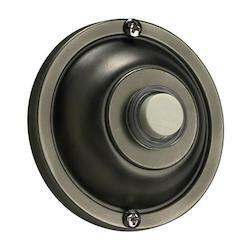 Whereas the wireless motion sensor lights are often designed to be installed in a single place, you can place the battery powered or plug in versions in whichever locations best suit your needs at a given time. 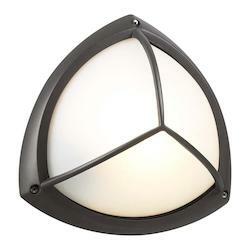 We have motion activated light fixtures in so many fantastic designs. 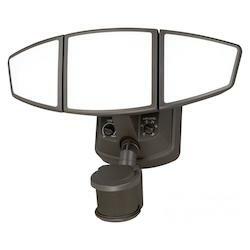 Almost any type of light can be hooked up to a motion sensor, from classic wrought iron Victorian style lanterns on doorposts to simple and minimalist globe style lights placed on posts at either side of your gateway. Just because a light is functional, does not mean that it cannot be elegant, beautiful or playful as well. 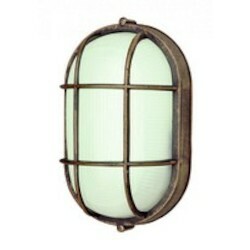 So whether you want some nautical themed lighting to switch on automatically whenever anyone steps into your outdoor swimming pool area, or whether you are looking for some lighting for your front porch that features sophisticated metalwork, jump right in and start exploring our collection of motioning sensor light fixtures for outdoors. 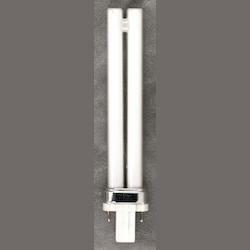 The definition of a floodlight is a light that gives strong illumination over a wide area. The lights that are used to illuminate an entire football pitch at dusk are floodlights, for example. They are so called because they totally flood’ an area with light and can even make it seem almost as bright as day when it is the middle of the night. 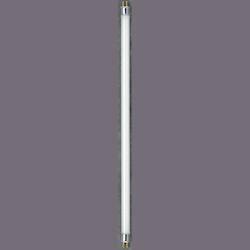 Flood light bulbs typically provide very bright whitish light, though you can choose bulbs of different colors and strengths depending on your needs and desires. 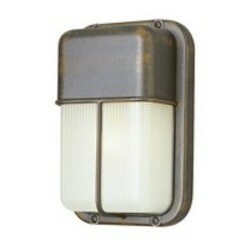 The advantages of floodlights are clear: they provide you with total illumination for the outside of your property. 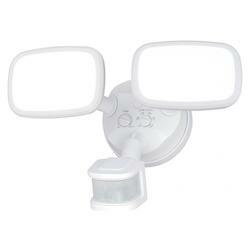 This is very useful for, for instance, a communal car parking area, a garage or a large driveway. Equally, you can install flood lighting that illuminates your lawn. 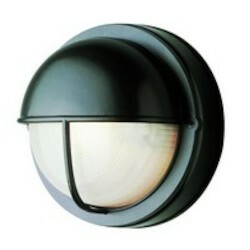 And, you can integrate your flood lighting with motion sensing systems (like those described in the paragraphs above) so that you can enjoy the peace of mind that comes from knowing that if anyone steps onto your driveway or sets foot on your lawn, the area will be instantly illuminated with a high intensity beam. 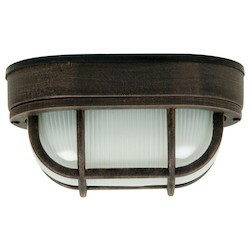 Flood light fixtures come in a wonderful array of styles. 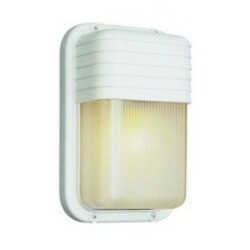 For example, you could opt for classic industrial style flood lighting that features an oblong block’ shaped bulb in a partially hooded metal setting. 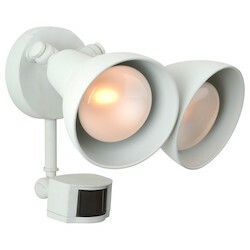 These lights can be placed halfway up your house, on the roof of a garage or on posts in the middle of a lawn. 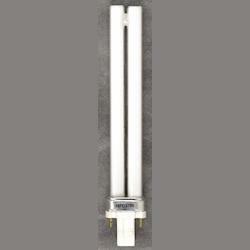 Another type of flood lamp that offers great coverage involves a single street lamp style pole with several branches pointing in different directions, each fitted with a flood lamp. 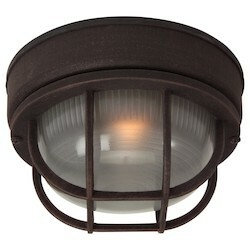 This style of lighting will enable you to provide illumination in a 360-degree circumference. Other, simpler, options include panel style lighting placed on the ceiling overhangs of garages or along passageways in apartment blocks. In short, this is the brightest type of external lighting available, and a great way to illuminate the entire landscape – natural or human made – around your property. This type of lighting is especially well suited for large expansive spaces as the beams stretch far and wide. 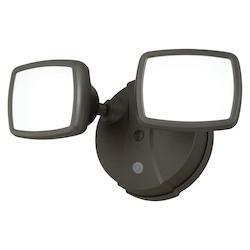 However, you can equally install a floodlight overlooking a small back yard if you prefer. It is totally up to you! 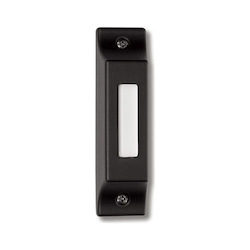 As even a cursory glance at our home security lighting range will demonstrate, these lighting options can be both aesthetically pleasing and wonderfully functional. Outside security lights can consist of beautiful post style lights decorated with floral metal work that fits in perfectly with a garden setting. Or, they can be huge security floodlights that will instantly and effectively illuminate the entirety of a large parking lot, football pitch or other communal or commercial area. 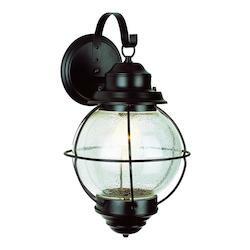 A motion detector porch light in the form of a classic retro hurricane lamp, for example, complete with a candle tube bulb, is a great way of adding some traditional rustic style to your home. 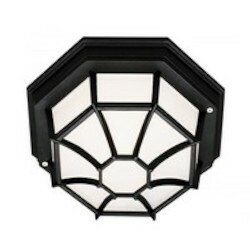 Or take a beautiful petal shaped metal and enamel lamp shade and place it in the corner of your front doorway so that it will provide you with both a welcoming touch and some handy illumination when you return home late at night. 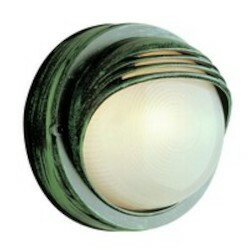 As mentioned above, an automatic light sensor can be fitted to many different kinds of light fixture. 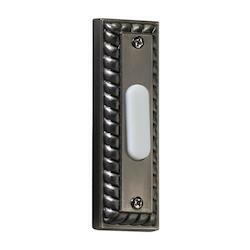 Placing two geometrically shaped security lights either side of a stone gate post, pier, front porch or driveway is perfect for setting the tone with a clean, sleek and modern aesthetic. 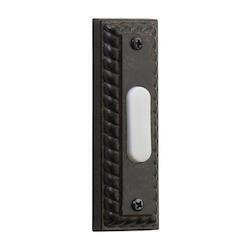 Security lights can, in sum, be welcoming or imposing, purely functional or sumptuously decorative. 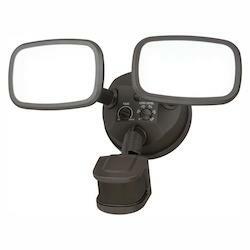 They can be permanent fixtures in a parking lot or lawn, or they can be moveable and adaptable, able to be placed wherever you need them most (this is the case with a plug in security light, for example). Though security light bulbs are typically very bright, you can decide what color and quality of light you want to go for here. And don’t be afraid to get creative! Explore eco friendly halogen light options, ultra long lasting fluorescent bulbs, flame shaped bulbs and much, much more. 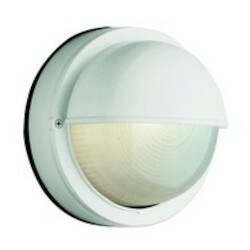 Security lighting does not need to be bold and white either – gentler colors such as fuzzy orange, rosy pink, cool blue and gentle, verdant green are all options here and may be more suited to built up areas where you do not want to annoy your neighbors by having a huge floodlight snap on outside their window at all hours of the night. 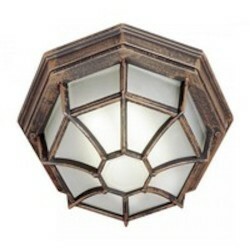 We have put together an enticing array of accessories of all kinds of outdoor light fixtures, as well as selecting the highest quality light fixtures themselves for you to browse. And, if you ever need a new bulb for your flood, motion or security lights, we will be able to provide you with the perfect replacement. No matter what kind of area you live in, there is no denying that your living space will be improved with the addition of security lights for home. There are various options for you to choose from here, all of which we have in store. 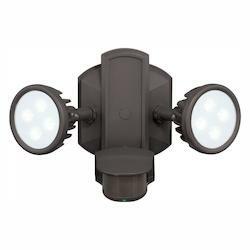 Security lights with motion sensor technology can be the best choice for hands free outdoor lighting, for example. 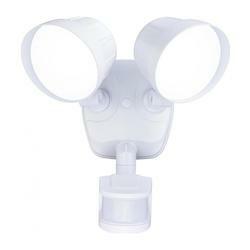 Your sensor security lights can come in all varieties, from huge floodlights to beautiful fairy light strings. It does not matter if you are on a strict budget, either, as we have price ranges to suit all pockets. 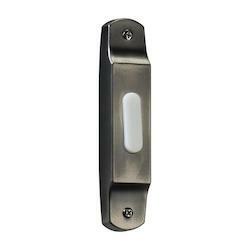 If you just want a cheap front porch lamp that will switch on automatically when you approach the door, we will be more than happy to help you out on that count. 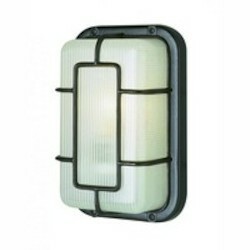 Alternatively, if you are willing to pay a higher price for an elegant series of chic designer outdoor lights that can line a broad walkway in a landscaped garden or create a magisterial effect when positioned along a driveway, we have plenty of items from top lighting designers for you to take your pick from. So, what are you waiting for? Get ready to add to the convenience and the security of your property by adding some outdoor security lighting systems to your garden, back yard, driveway or garage.